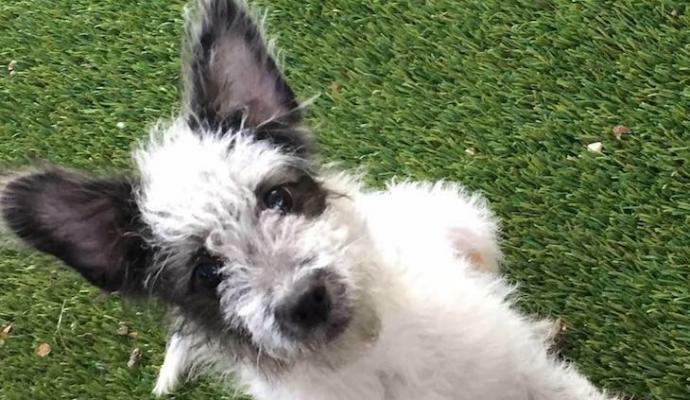 Lexi is available for adoption now: This adorable 41/2 month old female terrier/poodle mix ( best guess) puppy weighs just 8 pounds. Lexi has an abundance of “happy go lucky” energy and is sure to put a smile on your face. Lexi loves to play and finds joy in the simplest things. She is friendly with other dogs, appropriate with cats, great with kids and would make an excellent addition to a family that has the time to devote to her.